As one of the most popular surgical procedures in the UK, our cosmetic surgeon at the Wentworth Clinic has successfully performed thousands of upper eyelid surgery procedures for women of all ages at both our London Harley Street Clinic and our Bournemouth location. Drooping, or hooded upper eyelids can be related to the ageing process and is the main reason our patients come to us for eyelid surgery. At your one on one consultation with our highly experienced facial surgeon, Professor Ilankovan, we will discuss your expectations, and ascertain the correct procedure, or combination of treatments that best suits you and your particular case, and assures a realistic outcome. At the Wentworth Clinic, 90% of our eyelid surgeries are performed under local anaesthetic, though in some cases general anaesthetic may be required, or preferred by the patient. Upper eyelid surgery involves the repositioning of fat, excess skin and muscles when the delicate skin of the eyes has lost its elasticity and begins to sag or droop as a result of the ageing process, as well as sun damage, and it can also be hereditary. Dr. Ilankovan is one of the best eyelid surgeons in London, if you would like to schedule a private consultation with him or wish to find out more about our upper eyelid surgery, please contact the Wentworth Clinic team who will be happy to further assist you. Either call us on 01202 428773 or fill out our contact form and we will respond to you shortly. Physically healthy men and woman who are psychologically stable and realistic about expectations. Generally they are over the age of 35, however, if droopy or baggy eyes run in your family then you may decide upon surgery at an earlier age. Eyelid surgery usually takes from 1 to 3 hours, depending on the extent of the surgery being performed, ie. upper eyelids only, or both upper and lower eyelids (known as eye bag removal). Healing is a gradual process and your scars may remain slightly pink for six months or more. Eventually they will become almost invisible. The results achieved following eyelid surgery last for years, and for many are permanent. 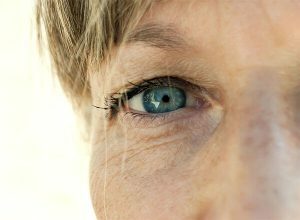 Our Blepharoplasty upper eyelid surgery procedures for women start at £2,000. Once an initial consultation has been completed by Dr. Ilankovan then we will have a clear idea of what procedure is required to provide you with the results you desire. Only then will we be able to provide you with a more accurate price for your eyelid surgery.